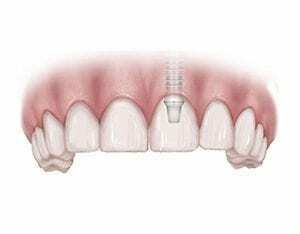 A dental implant supported crown is usually the preferred treatment option for replacing a single missing tooth. 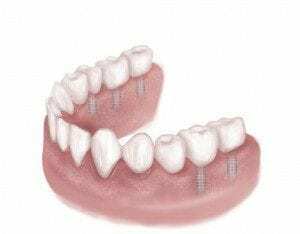 There are many advantages of dental implant treatment, including the prevention of bone resorption, which can result in a visible defect in the bone, particularly in the front of the mouth. There are three options for replacing multiple missing teeth: dental implants, a tooth supported bridge and a partial denture. In addition to preventing bone resorption, dental implant treatment does not compromise the health of adjacent teeth, making this the preferred method of tooth replacement. In the past, the only option for people missing all of their teeth was dentures. 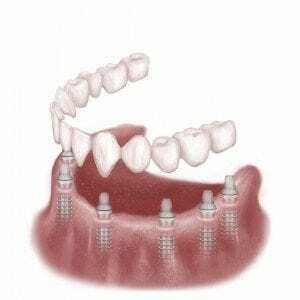 There are numerous problems with this type of prosthesis, most of which can be solved with dental implant treatment. Patients have several options with dental implants, including replacement teeth than are non-removable.